Okay - I totally dropped the ball this year, and did not get any gifts to my boys' teachers during teacher appreciation week. So, in order to let their teachers know how much we really did appreciate them this year, I decided that end-of-year teacher gifts were an absolute must. One problem - - the last week of school is a total chaotic nightmare. Especially when you have four different kids at two different schools. Time was something I was running frightfully low on this week. Luckily, I had some of these cute notebooks on hand from Pick Your Plum. All they needed was a bit of washi tape, some bakers twine and a little tag and they were ready to go. The entire project took me about ten minutes and I think they turned out pretty cute. To make this a five minute project for you, I am including a free printable for the simple little tags. They are just like the ones pictured, except the name was left off, to allow you to add your little student's name instead. You can download the tags here. Some of the tags are signed "Love" while others are signed "From". I did this because my older boys would rather die than take a gift to their teacher that said "Love" on it. I made some very similar teacher gifts a few years ago. You can see my post about them here. Check out my post on my littlest guy's latest birthday cake at my other blog, Domestic Daybook. We recently did a fun activity to pass off Wolf Achievement 8a. The boys really loved it. First I printed off a copy of "My Plate" from the Choose my Plate website. I showed it to the boys and we talked for a few minutes about it, and what it meant, and discussed some of the foods that might be in the different groups. Before the meeting I had printed off some simple pictures of several different foods that would belong in the different groups. I would give you a link to where I found them, but in all my searching, I could not find them again. I did, however, find tons of other images of foods from the different groups that would work, so you shouldn't have any trouble finding something that will work for you. I also took paper lunch sacks and wrote the names of the different groups on them. These were then set up on a long table, and the boys lined up in two teams on the other side of the room. I handed each person at the head of the line a picture of a food, and then they raced down to the sacks and tried to put the picture in its corresponding bag. After the boys were done racing, we went through the pictures and decided as a group, whether or not the picture had been placed in the correct category. This was way more fun for a group of eight year old boys, than just sitting and having a discussion about this stuff, and they still learned and were able to pass of the requirement. These cute highlighters and tags were the gifts I made for my boys to give their teachers during Teacher Appreciation Week this year. They were inexpensive, simple, and FAST! 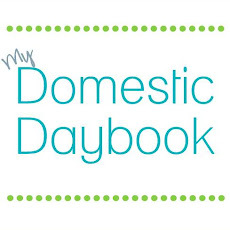 You can check out my full post on them, plus get the free printable tag on my other blog, Domestic Daybook. Just popping in to share what I did with my Wolf Cub Scouts to pass off Achievement 5. I wanted something that was really simple for them to construct and ran across this awesome little ruler basket on Pinterest. I would link directly to her blog and instructions, but it looks like she has made the blog private, so I will try to explain what we did. We purchased yardsticks from Lowe's (this was more cost effective than purchasing rulers) and cut them into thirds. Then we took 1x4's and cut 1 - 12 inch piece and 2 - 6 inch pieces for each basket. The basket construction is pretty self explanatory by looking at the pictures, just make sure you nail the 6 inch 1x4's on top of the 12 incher, rather than to the sides. We cut the yardsticks and the 1x4's into the sizes we needed, and drilled pilot holes for the nails prior to our meeting. It is a good thing we did, since our meeting went a couple of minutes long with the boys trying to finish up their projects. Don't try to save a step by skipping the drilling of pilot holes for the nails. I don't think the boys would have finished if those pilot holes had not been drilled for them. This was a simple project, but these are eight-year-old boys, so it about maxed out their skill level, even with a lot of help from two adults. This was a great, simple woodworking project for cub scouts or for any kids in that age range. And my son is super happy to have a basket that he made himself, where he can store his favorite book series. Wow! It has been awhile. It has been an eventful and crazy fall, so posting was way down on the priority list, but I hope to start sharing a little more regularly now. Today, I am sharing a new game that I put together for our cub scout blue and gold banquet. We are having a carnival and the cubmaster asked each of the dens to come up with a simple carnival game for the boys to play after dinner and awards. So, our den is doing this simple tic tac toe beanbag game. It was quick and easy to make and my boys think it is pretty fun. I sewed up some simple bean bags in fabric scraps I had on hand. Of course, I had to use blue and gold. I though about putting X's and O's on them, but then decided just having one player use the blue bean bags and the other player use the gold would accomplish the same purpose and save me a bunch of time. Hopefully the cub scouts will enjoy it at the banquet and then my boys can enjoy playing a little active tic tac toe at home from time to time. I know, I know, it has been forever since I posted on this little blog of mine, but that does not mean that my boys and I have not been busy. It is quite the opposite actually. This summer has been a lot busier and gone a lot faster than I had anticipated. I planned to share a lot of the things we did on my summer fun list, but, most times I chose to be present for the activities, rather than trying to get the perfect shot, so I didn't do so well with posting this summer. I did snap a few pictures of some of the activities we completed this summer and I thought I would share them here, along with my take on them. We tried these fizzy explosion bags. I don't think the size of zipper bag was specified on the instructions, so I put everything in a gallon sized bag. We got to watch the bag inflate, but there was never enough pressure created to make the bag pop as promised, and the boys were pretty disappointed. I then tried the same thing in a sandwich bag, which popped almost the second I got it on the ground, which was also disappointing, since there was no anticipation. So, I think you probably need a quart sized bag for this activity, or adjust your amounts of baking soda and vinegar according to the size bag you are using. We made firecracker sugar cookies for the Fourth of July. I didn't make the blue sugar as instructed in the tutorial, but used the blue pop rocks in stead. They were cute, but a little too pastel to look very patriotic. The pop rocks did pop in your mouth when you ate the cookies, but with a lot less force than when the pop rocks are eaten alone. The pop rocks need to be put on the cookies right before serving, because they do start to dissolve. If you have any leftover, the pop rocks will be completely dissolved by the next day. Overall, we had fun with these and would make them again. Sharpie plate/cup art. The boys had a ball decorating up their cups with Sharpies. I then baked them as instructed at 300 for 30 minutes. The boys used them that day and then I decided I would wash them by hand, rather than in the dishwasher - just in case the art wasn't as permanent as promised. As soon as I started washing them, the artwork started coming off. I quickly placed them back in the oven at 375 for about 45 more minutes and that seems to have set the artwork better. I have washed them in the dishwasher since then and noticed that the artwork is fading a little. However, for $1 apiece and some sharpie ink, I think it was a totally worthwhile activity and the boys loved, loved, loved it!! We had a picnic one day and I let the boys have chips in the little individual packages - which is a real rarity around here. We saved the empty bags and then made chip bag shrinkies out of them the next day. I was worried about the toxic fumes that were sure to be coming from my oven, so we did this activity first thing in the morning when I could have the doors and windows open. Surprisingly, I didn't notice any noxious smells, and the bags shrunk up just as promised. The boys thought this was pretty cool, but weren't overly excited about keeping their shrinkies after they were done. I think this was an activity worth doing once and discussing the science behind it, but I am not sure we would repeat it. So, there you have it. A few fun summer activities and my advice if you try them yourself. I am a mom to five fun boys and I love the domestic life. where I get to be a girl! !